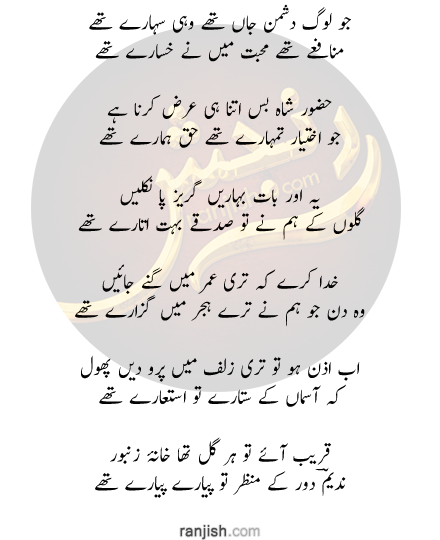 Ranjish.com has lots of Urdu Ahmad Nadeem Qasmi Poetry. 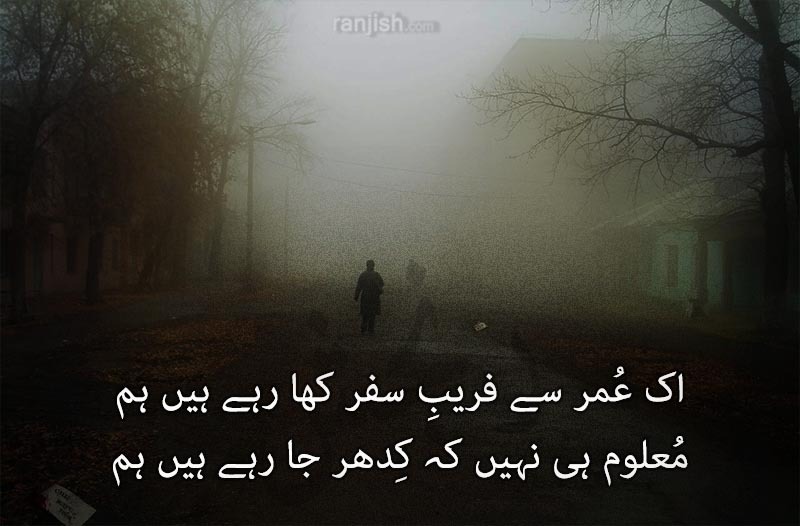 Feel free to add your own Ahmad Nadeem Qasmi Shayari here. 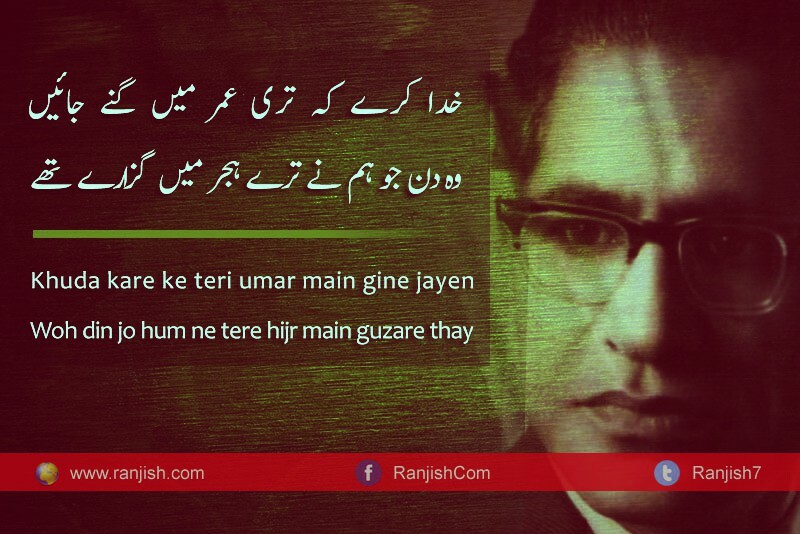 Ahmad Nadeem Qasmi was a well known Pakistani poet and jounalist. 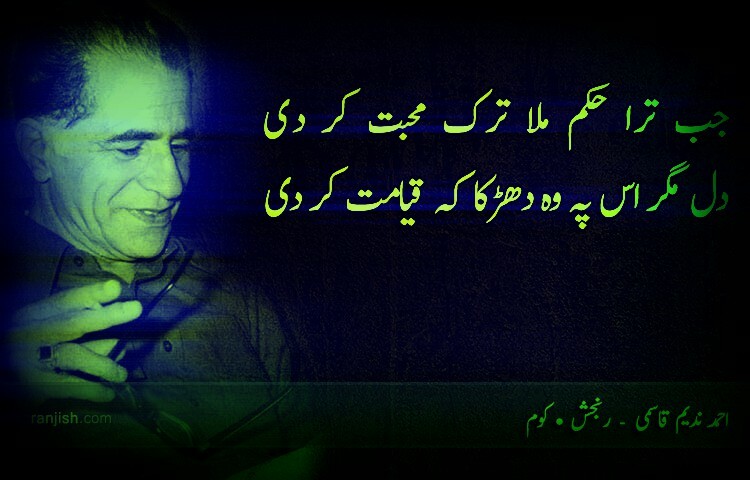 He wrote almost 50 books on topics like poetry and fiction. 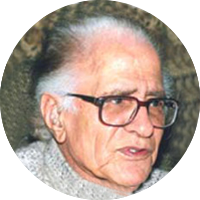 His real name was Ahmad Shah Awan but chose to use “Ahmad Nadeem Qasmi” as his pen name (takhallus). He was born in Angah and died in Lahore, Pakistan. 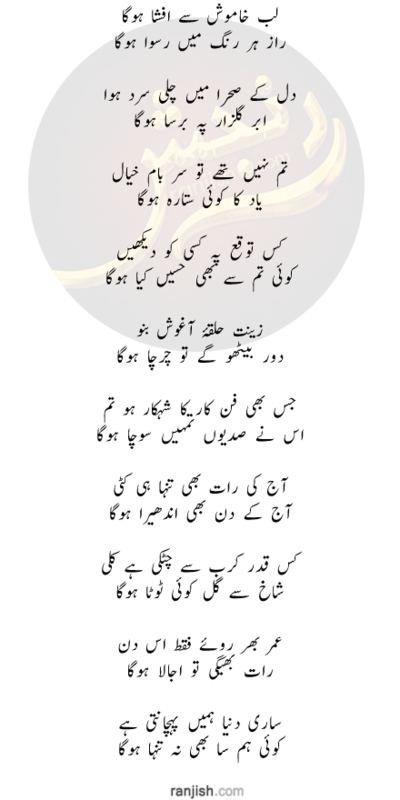 Jab tera hukm mila tark mohabbat kar di..
Mujh se kaafir ko tere ishq ne yun sharmaya..
Jaantey boojhtey jis shakhs ne dhoka khaya..
Aayina dekh ke, Aik aur tamasha dekho..
Shaakh ke hath se girta hua pataa dekho..
Jo buraayi mere naam se mansoob huyi..
Chand yaadain mere dil mein se guzarna chahain..
We update our poetry database on daily basis so keep coming back for more Ahmad Nadeem Qasmi.